Join the team at The Breeze! Do you love riding nice horses? Do you love sharing your horse passion with other people? Does it make you feel great to help someone else succeed? 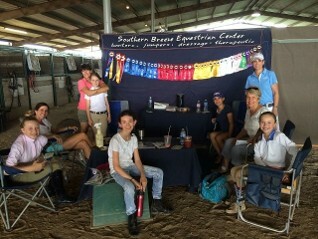 The talented team at Southern Breeze Equestrian Center is changing lives on a daily basis. For more than 15 years, we've been sharing our expertise to teach people to ride and learn about horses. We pride ourselves in taking great care of their horses and ours. While sharing our knowledge with students, we have been passionate about bringing joy and boosting self-esteem within our riders while helping people to stay fit. Our special needs therapeutic riding program does wonders for our recipients as well as emotionally boosting their families and our volunteer side walkers. If you love people and horses, have an optimistic attitude and a good work ethic, there may be a place for you on our staff. We're currently looking for a few good people to join our team. Skills needed vary with the opportunities. All of the opportunities require good communication, excellent health, integrity, respect for others and self-motivation. If you are looking for stability, a chance to make a difference in the lives of others and a fun outdoor job, read on to see what openings might suit you. CURRENT OPENING (FULL TIME AND PART TIME) - STABLE HAND AND GROUNDSKEEPING - In search of experienced help with horse care and grounds. Must be reliable, trustworthy and caring. Must be available to work on weekends. Assistant Trainer (Full Time) — You must be a good rider who is able to school a variety of horses on the flat and over fences with some direction and supervision. You must have good working knowledge of hunters, jumpers, equitation and elementary dressage. Some experience with teaching and good teaching skills is necessary. Firsthand knowledge of therapeutic riding is helpful. Some office work is required. You need to be enthusiastic, cheerful, compassionate, self motivated, energetic, organized and have great follow-through on tasks. Innovative thinking is welcome. Compensation — Base salary, bonuses and perks. Working Student (Full or Part Time) — You will assist with a variety of duties to support the training and teaching staff. Duties include but not limited to: answering phones, side walking for therapeutic riders, grooming and tacking horses, cooling horses down and bathing them, cleaning tack, general light cleaning, assisting the vet or farrier, horse turnout and a variety of other chores as needed. Hours can be flexible. Part time help is in return for lessons. Full time help will be compensated with lessons with a small salary. 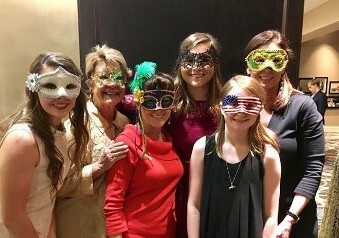 Volunteer (Part Time) — If you like to get to know people and help those who need extra help, you'll love this opportunity! You will assist by side walking for therapeutic riders, prepping horses for therapeutic and younger students, help with answering phones, show visitors around, and help with light cleaning to assure that everyone has a great experience. This is a great position for someone who loves horses and the opportunity to meet and greet people. Hours are flexible but you need to be able to commit to the same hours each week for at least two months. For each eight hours of volunteering, you will receive a free lesson. please send your resume to Cathy Strobel at cstrobel@sbreeze.com or contact Cathy at 832-282-7000.